Jennie Darlington (centered) and her family members at AGS headquarters in 2005. The American Geographical Society (AGS) Fliers and Explorer’s Globe signer, Jennie Darlington, passed away due to heart failure on August 30, 2017 at her home in Marshall, Virginia. 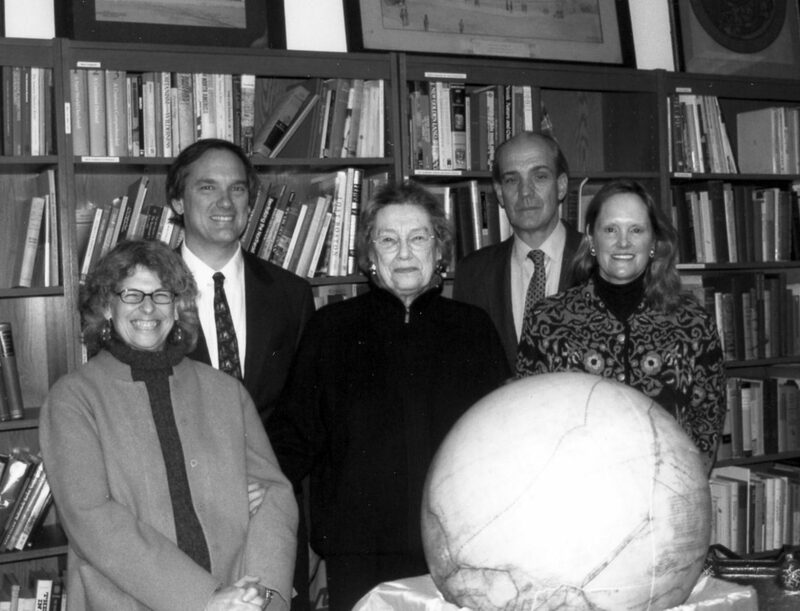 Jennie signed the Globe in 2005 for her 1948 accomplishment of being one of the first women, along with Edith Ronne, to spend the winter in Antarctica on an expedition to map the Antarctic coastline. 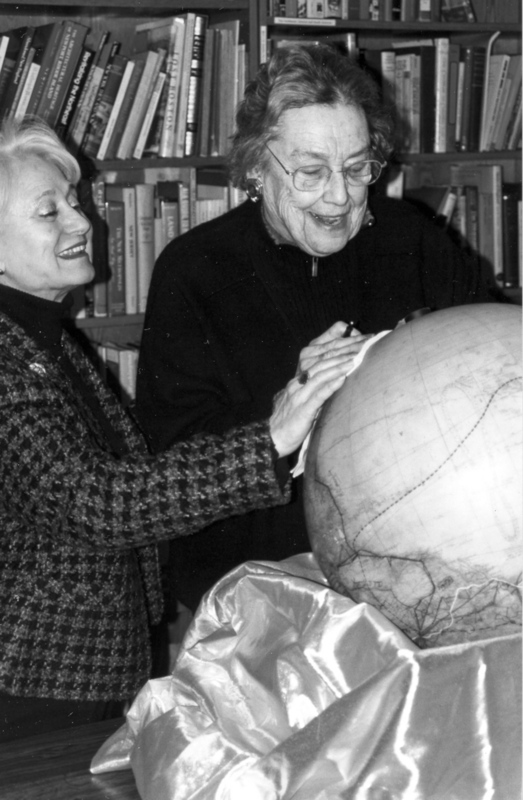 Jennie Darlington (right) and Mary Lynne Bird, former AGS Executive Director, signing the Fliers and Explorer’s Globe in 2005. Jennie Darlington was born on January 25, 1924 at St. Agnes Hospital in Baltimore, Maryland. At 20 years old, she had earned her pilot’s license. In 1946, she married Harry Darlington and in March of 1947 they began their honeymoon through Antarctica, a journey that also doubled as an exploration mapping mission. Jennie was the first woman to become pregnant in Antarctica. After returning home in February of 1948, Jenne wrote of her experiences in a memoir titled, “My Antarctic Honeymoon.” We honor her role as a woman in geographic exploration. For more information on the passing of Jennie Darlington, click here.